Congratulations on being the owner of a brand new Tracker. We will help you set up your Tracker together with the Timeular software. Two different sticker sheets (with icons and abstracts). Erasable pen for writing on your Tracker. Eraser to remove your writing/drawing. 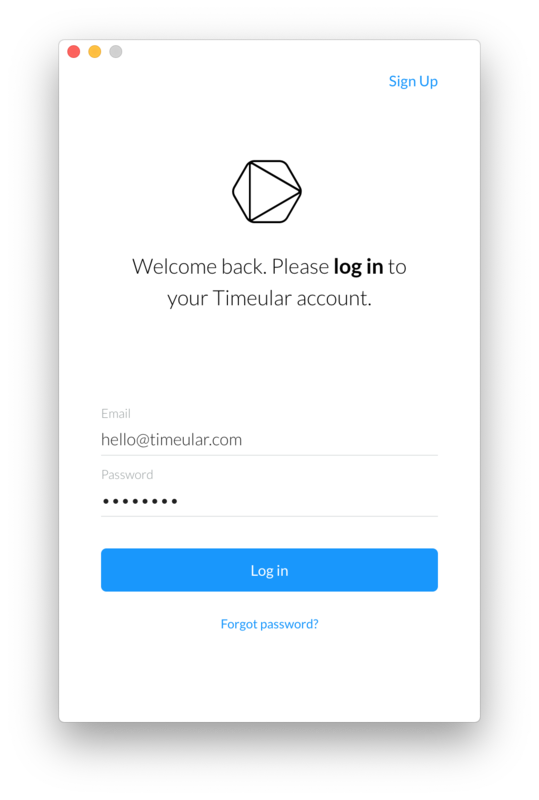 Download our software at timeular.com/download . Install and start the software. Log in with your email and the password you picked during your order on our shop. If you don't have one: create a new account by following the "Sign Up" button. Click on the gear icon to get to Settings > Tracker. Press on the left side of the black button on your Tracker device. The LED starts blinking blue. Your Tracker is now paired. When you see a button saying "Disconnect" you know that your Tracker is connected. Click on the Timeular icon to head over to the activities view. Click “+” on the top to create your first activity. Once you have named your first activity and chosen a color for it, click on "Add" in the top right corner. You can now assign this activity to the side of your Tracker which is currently facing up by switching the slider to the right. A "Facing Up" label will appear, indicating that you have successfully assigned this activity to the side of your Tracker which is currently facing up. Your first activity starts tracking automatically. Leave the slider in this position. If you switch it back to the left, the activity will be unassigned from your Tracker and you can’t track your time for this activity any more. 4. Now label this side of your Tracker according to the activity that you assigned to it (so that you know later which side belongs to which activity). 5. Now turn your Tracker to a different side and repeat this process for the other activities that you want to assign. Tip: If you want to track your time in more detail, you can create subprojects or notes to your time entries, click here to learn how. The meeting scenario: Your Tracker will lose its Bluetooth connection to your PC/mobile device if you are a certain distance away from it. You only need this Bluetooth connection to start tracking with your Tracker, if it is lost after the tracking has begun the Timeular app will continue to track the time entry. Let’s say you’re about to go to a meeting. You’re at your desk and your Tracker is connected so you flip it over to the Meeting side to begin tracking. You then take your laptop and go to a meeting room down the hall and the Tracker loses its Bluetooth connection to the laptop. The software will keep tracking the Meeting time entry even though the Bluetooth connection to the Tracker itself has been lost. The same is true for the internet connection. 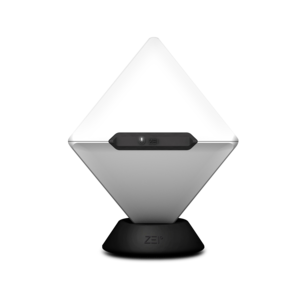 The Timeular software requires an active internet connection when starting the tracking as well as when the tracking is being stopped. If the internet connection is lost in between it would not affect the tracking of the time entry. 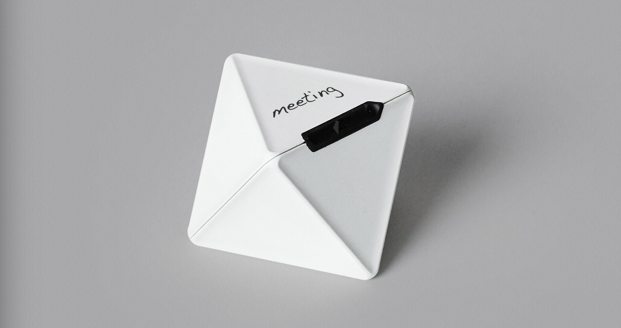 Once the meeting is over and you return to your desk the Tracker will automatically re-establish the Bluetooth connection to your laptop and you can then place the Tracker in its base to stop tracking the Meeting time entry, or you can flip the Tracker to a different side to begin tracking a different activity. Note: The Tracker will go into sleep mode if it's not connected to the software for more than 30 seconds. For example, if you're taking a lunch break and your computer goes into standby mode, the Tracker will lose its connection with the software and will therefore turn itself off to save battery. When you return from your break, simply take the Tracker out of the base to start tracking again. The Tracker will automaticaly reconnect and start tracking after around 3 seconds. Congratulations, you're all set up! Now track all your activities and soon you'll be able to save a lot of time. At the end of the day, just put your Tracker into the base and it will stop tracking.